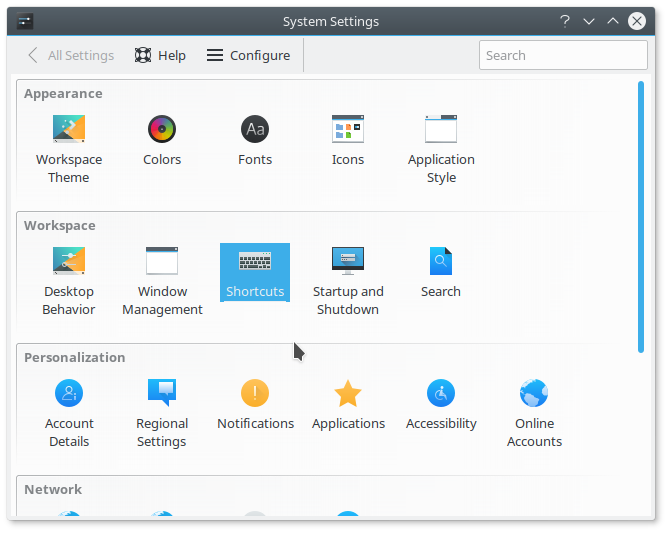 After you install KDE/Plasma Desktop on Archlinux, by default there's no screenshot application on it. If you press PrintScreen there's nothing will show up. 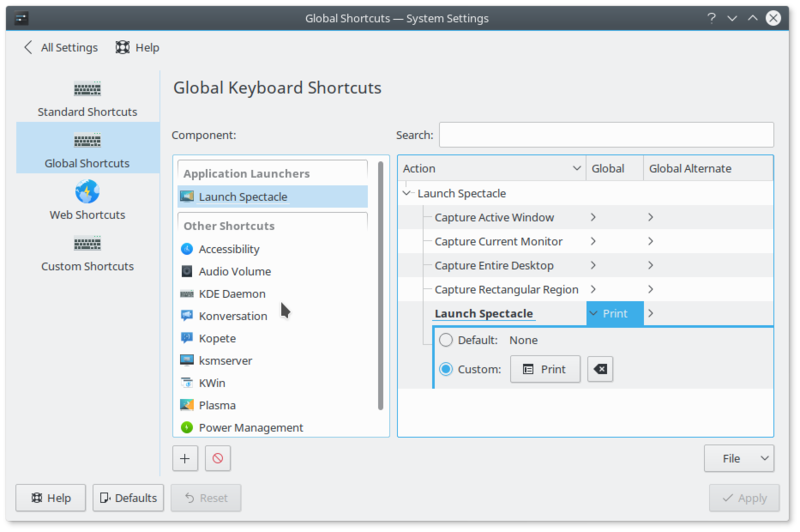 I remember that snapshot application for KDe is ksnapshot. But when i want to install it, there no package. 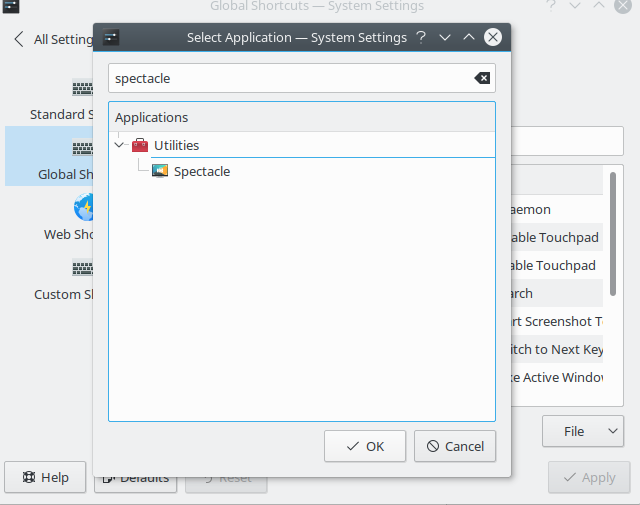 So i search on google, then found that kde snapshot is replace with spectacle. Ok that's it, to make Printscreen work with spectacle, open system settings. Then choose shorcut. On shorcut settings, choose global shorcut, then choose "+" button to add new shorcut, search spectacle. Choose spectacle then "OK". Spectale will bi listed on component, choose on action list choose "launch spectacle", then set shorcut, by pressing printscreen button, you can also use your own shorcut. Choose apply to save, if it's not working, maybe this conflict with other screenshot application, remove it then logout and login again. Then it will work. :). This will capture all screen, if you extend will external monitor, it will captured too. This will capture curent screen. This will capture without startmenu panel and windows title (you can enable/disable it in content options). 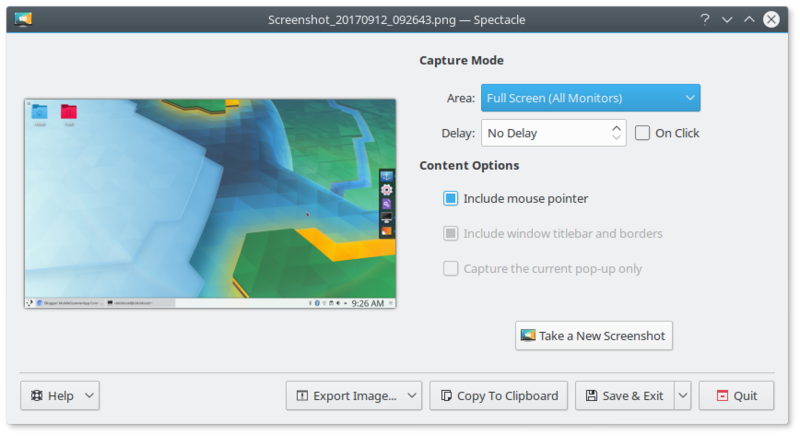 Capture rectangular area that you want to take screenshot.